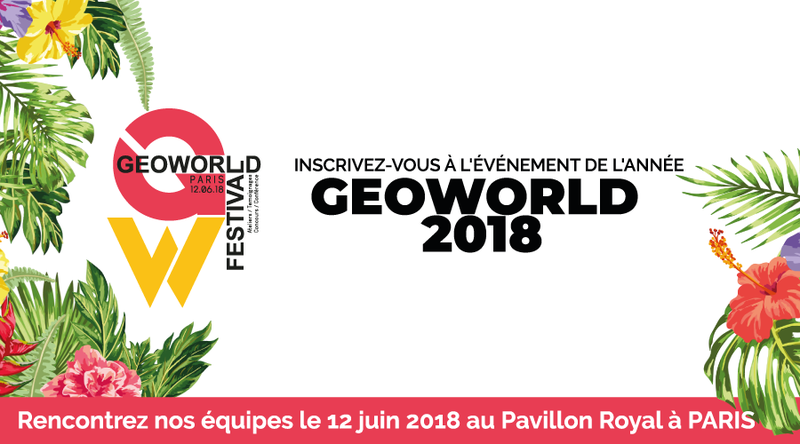 On June 12, we will attend again Geoconcept annual end-users gathering: GEOWORLD. Founded in 1990, GEOCONCEPT Group is a company specializing in the design and implementation of cartographic optimization technologies for professional use. They propose the 3D for Geoconcept module integrating VirtualGeo techhnology, which is at the very heart of the 3D data design and use chain. On the agenda for the 2018 Edition: a morning to take stock of the latest technological advances, an afternoon à la carte to allow everyone to explore the themes of their choice and numerous activities to celebrate the arrival of summer together! See you on Tuesday, June 12 at the Royal Pavilion.